Independently founded in 2002, Genuine Games comprises numerous talent culled from the likes of Electronic Arts, Activision and Insomniac Games. The company's founders have more than 20 years of combined game-making experience, and have worked on titles such as Knockout Kings and Ratchet and Clank. Development of the company's proprietary cross-platform game engine technology began more than a year ago. Genuine Games' first title is the 3D brawler Fight Club, to be published by Vivendi Universal Games in late 2004 on PS2 and Xbox. In 50 Cent: Bulletproof, 50 gets caught in a web of corruption, double-crosses and shady deals that lead him on a bloody path through New York's drug underworld. Working with the unlikeliest of allies, the streets heat up as 50 Cent takes on the most..
A no-holds-barred realistic fighter, the game portrays the brutality of street fighting while encompassing the artistic style, settings, storyline and characters from the Fight Club movie. 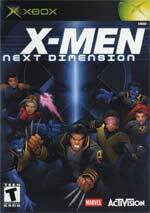 Players will feel every punch and kick from delivered from th..
X-Men: Next Dimension plunges players into a powerful enemy's plot to rid the world of mutants. Leaving traditional arena-based fighting games in its wake, X-Men: Next Dimension is the only console fi..